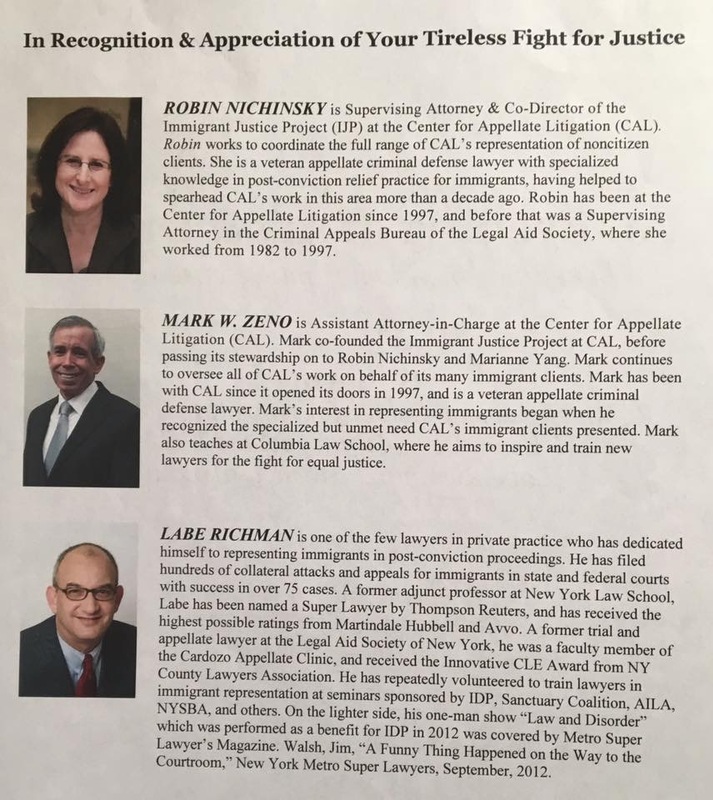 (1) This Year the Immigrant Defense Project gave Labe an award for post-conviction work for immigrants at a reception sponsored by the Center for Appellate Litigation. 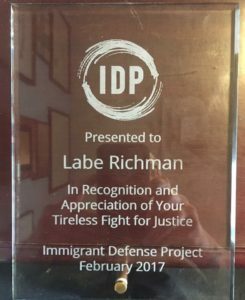 He was cited for his “tireless fight for justice.” The award and program from the event are shown below. 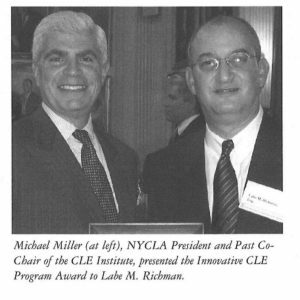 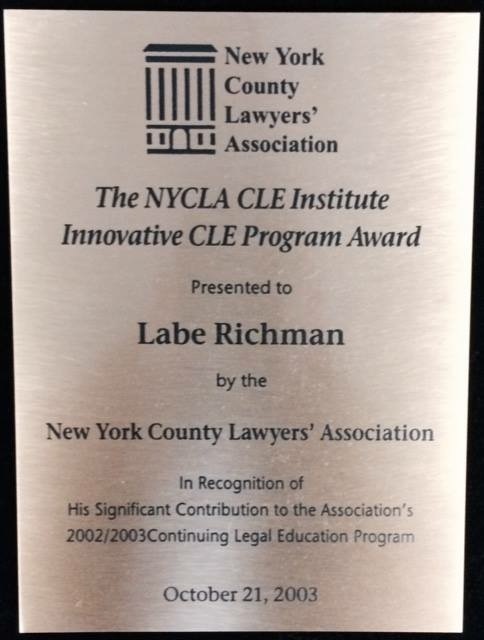 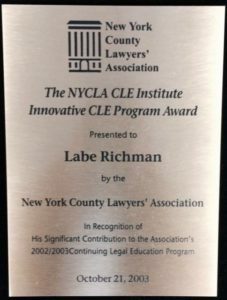 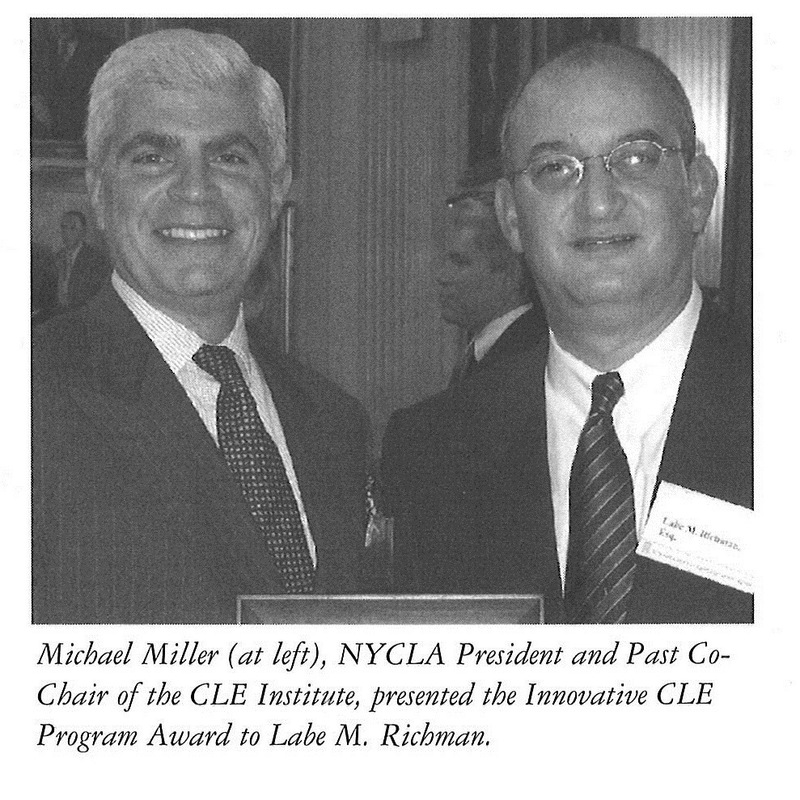 (2) In 2003, the New York County Lawyer’s Association gave Labe Richman the Innovative Continuing Legal Education Award for his seminar on Effective Trial Communication Techniques.